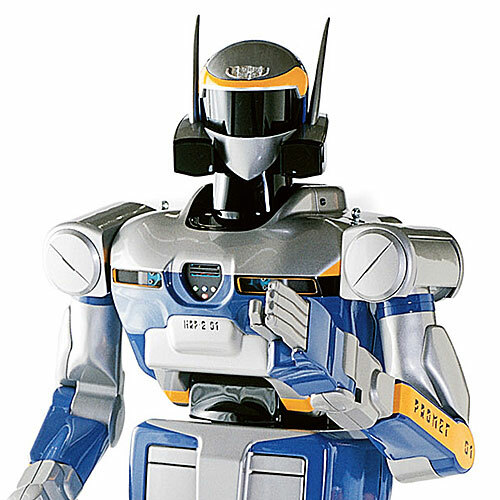 HRP-4 is one of the world's most advanced humanoids, the culmination of a decade of R&D. It's designed to collaborate with humans and can perform remarkably natural, human-like movements. 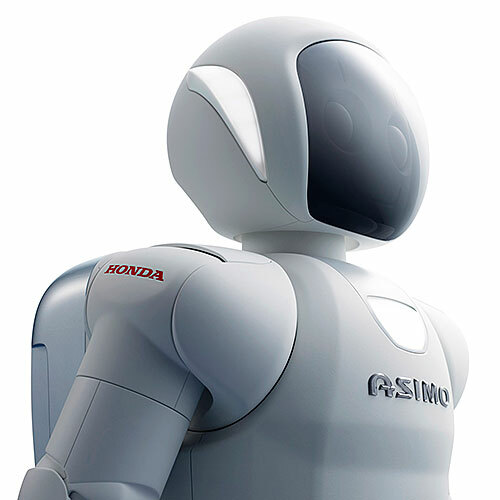 HRP-4's sleek body is powered by more than 30 motors. Balancing on one foot is not a problem for HRP-4. The robot is designed to manipulate everyday objects. A neat trick is that it can reach its own backpack. 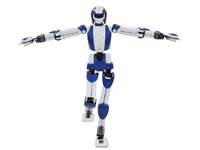 HRP-4 exercises its mechanical muscles. 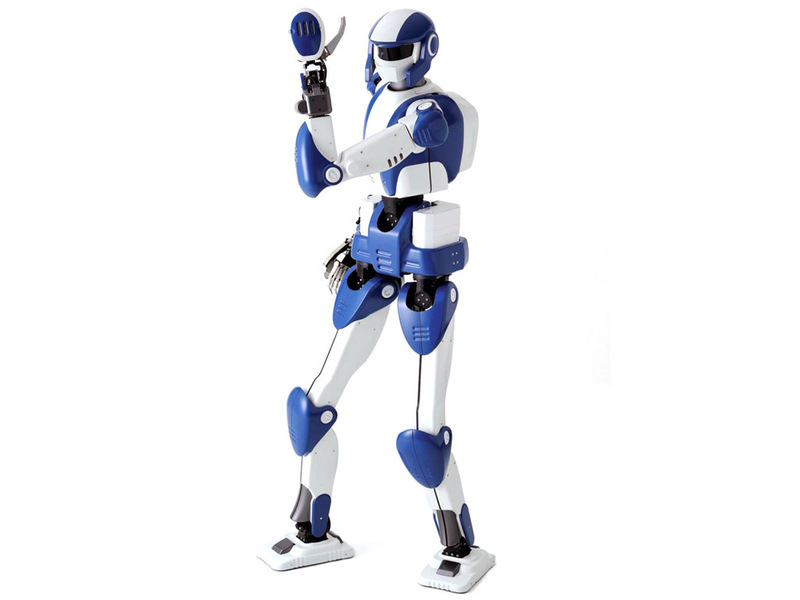 HRP-4 shows off its slender arms. 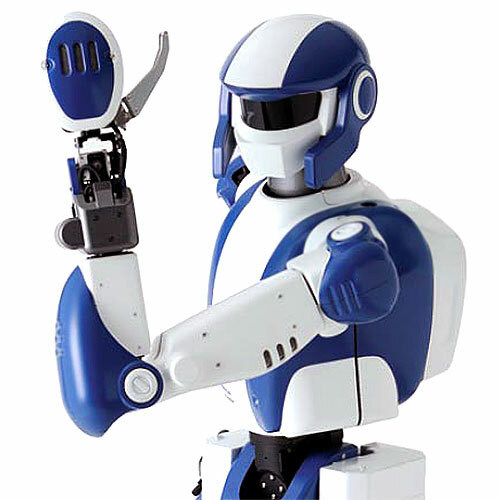 HRP-4 became a YouTube sensation when it was first demonstrated in 2010. 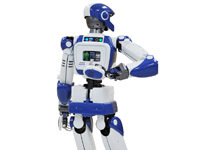 In designing HRP-4, its creators tried to give the robot the appearance of a "slim athlete." 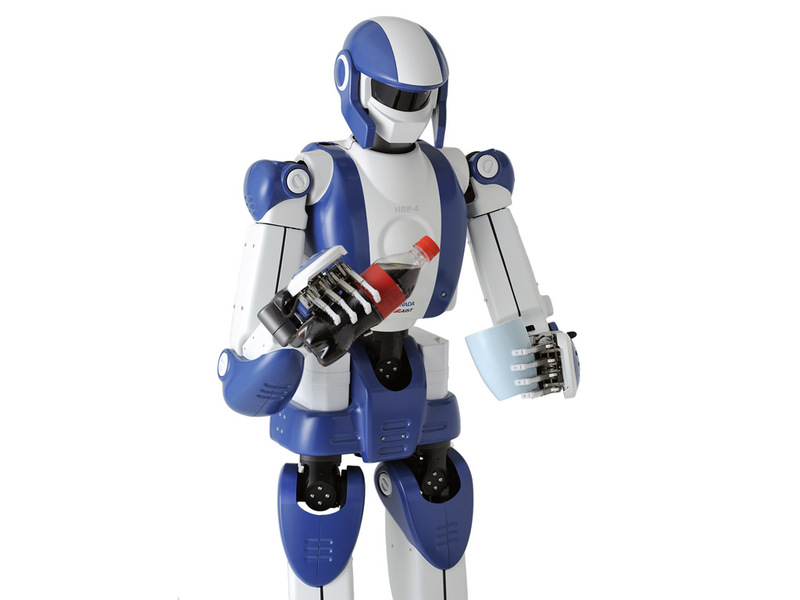 The designers were able to increase the degrees of freedom of the robot while making the body smaller and lighter compared with previous HRP versions. Compact, lightweight design. Able to lift 0.5 kg (1.1 lb) with each arm. Equipped with low-power motors for improved safety. Cameras (in the head and arms), microphones. PC/104 Pentium M computer with Wi-Fi and speakers. Linux OS with RT-PreemptPatch and OpenRTM-aist middleware. Plastic covers, aluminum alloy frame. 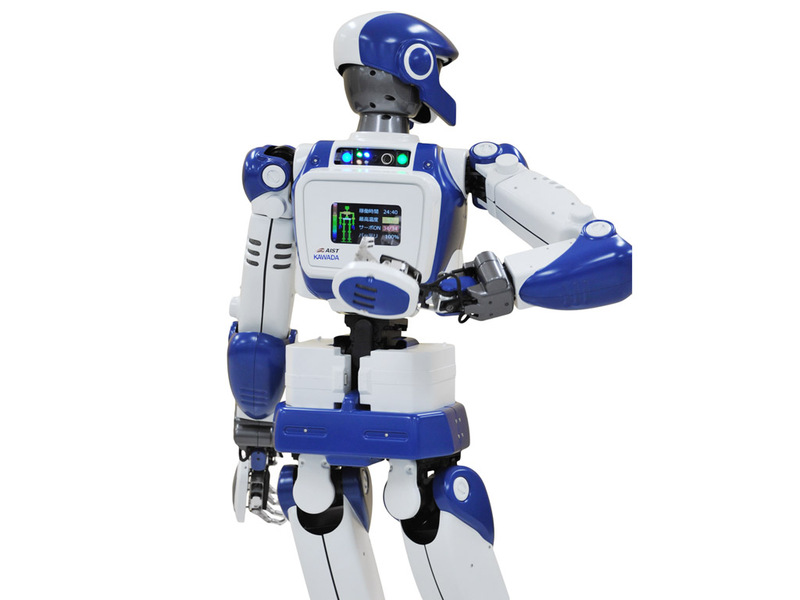 HRP-4 is the latest model in the HRP series of robots, the result of a lasting collaboration between Kawada Industries, led by Tadahiro Kawada, and Japan's National Institute of Advanced Industrial Science and Technology (AIST), headed by Tamotsu Nomakuchi. 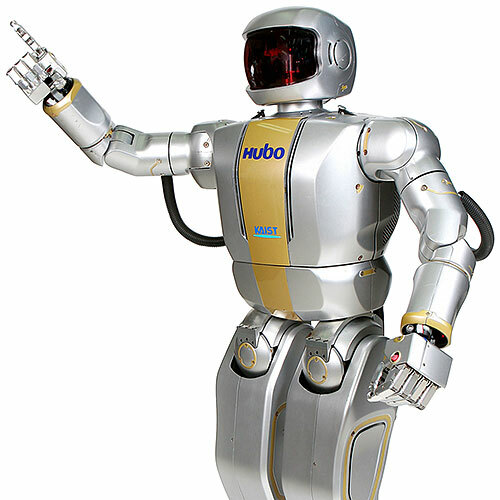 HRP-4 follows the development of HRP-2 in 2002 and HRP-3 in 2006. In this project, engineers from Kawada focused on the humanoid robot hardware while the AIST researchers (including Kazuhiro Yokoi, leader of the Humanoid Research Group, and Fumio Kanehiro, a senior researcher) developed the motion-control software. 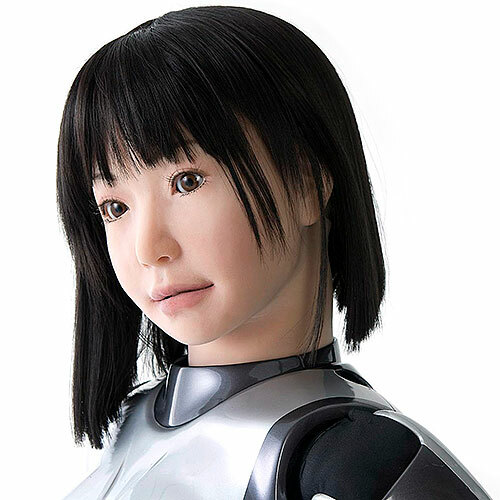 The goal was to make the new humanoid lighter (and therefore safer for human interaction) and yet more capable than previous generations, both in terms of manipulating objects and navigating human environments. The final design was unveiled in September 2010.